Dubspot’s Nate Mars catches up with rising EDM star Seven Lions during Miami’s Ultra Music Festival to ask about his music production process, how he prepares his DJ sets in Traktor, signing to OWSLA and more. 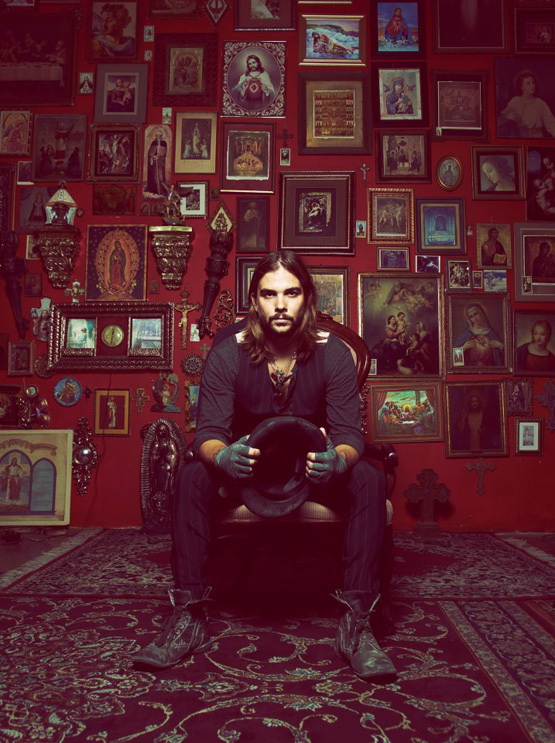 Seven Lions is quickly making a name for himself on the EDM scene as a DJ and producer with his remixes of Florence and The Machine, Above & Beyond, and Paul van Dyk in addition to his recent signing to Skrillex’s OWSLA label. Following his set at Ultra Music Festival in Miami this year, Dubspot’s Nate Mars spoke with Seven Lions to find out about his studio set up, preparing his DJ sets in Traktor, signing to OWSLA and more. Nate Mars: This was this your first time playing Ultra Music Festival. How did you feel about your set? Seven Lions: I was stoked, it was a great crowd. I usually don’t play in the daytime, so I was a little nervous about playing when the sun’s up because I can’t see the mixer. I use a [Native Instruments] X1 when I DJ and I could barely see the LED’s. But it was fun; it was good. Nate: Did you do anything differently to prepare for this set at Ultra than you would for other sets? Seven Lions: Yeah I knew it would be a bit more of a heavy crowd so I tried to make my set a little more in your face with quicker mixes. But I’ve kind of generally been going in that direction. Not necessicarily the heavy part but quick mixing. Nate: Could you tell us a bit about your live DJ set up? Seven Lions: I go [Native Instruments] X1 into the laptop, then from the laptop straight into the DJM 900, and I use that as the soundcard. Nate: You’re using that with Traktor? Seven Lions: Yeah Traktor and a Macbook Air. I try to make my set up as small as possible. I used to carry around an (EKS) Otus, which is basically the size of a CDJ, but after traveling around for 4 or 5 days with something like that you get really tired of it. So I’ve been making my gear set up as small as possible. Nate: Have you always been using Traktor? Seven Lions: No I learned on CDJs, and that’s back when I used to play mainly trance and techno. I still like playing on CDJs if I’m going to be playing 128 bpm house music. But my current sets are so varied in tempo and genre that having Traktor really makes all the difference. Nate: There is definitely an element of trance happening in your performance. How does that translate into your own music? Seven Lions: I’ve always been a huge trance fan. That’s kind of how I got into the EDM scene. I was into industrial for quite a while, and then I heard some trance songs like “Above and Beyond” and “Can’t Sleep” and the Gabriel and Dresden remix of “No one on Earth,” which were really dark and what I related to at the time. So even coming from a Metal background, those songs really resonated with me quite a bit, and I’ll always keep that influence. Nate: Could you talk a bit about your transition from live music into electronic music? Seven Lions: The whole transition to EDM came about when a friend gave me Fruity Loops back when I was in high school. I played in a band; I had no interest in electronic music whatsoever. But when he gave me this program I realized that I could make all this music by myself and I didn’t have to wait for my band to show up to band practice. And then I just ended up messing around with music for 2 or 3 years. I was never really into EDM, I just liked the idea of being able to make this music and compose something by myself. Nate: Can you tell us a little bit about the recent signing to Skrillex’s label and how that came about? Seven Lions: Well my management met Sonny at a rock festival in Germany. They played him my music and then it just kind of went from there. They hit us up and it’s been a really great relationship. Nate: Do you think in a way you and Sonny have similar backgrounds- you both came from a very instrumental background, a Metal background, and then moved into electronic music? Seven Lions: I think a lot of my favorite producers came from an instrumental background. The music that I like still has that live feel to it, like with the drums and the rhythmic elements. I think that a lot of the people who are producing the best music did come from a live background or when they’re thinking of programming a drum track they’re also thinking about how would I be playing this as a drummer, or as a guitarist, or in a band, so composition-wise it makes sense. N: Could you talk about some of the tools you are using in the studio? Seven Lions: I’m working in FL Studio and I have been for quite a long time. When I was in college I trained in Pro Tools, Logic, Digital Performer, and Reason. I’ve kind of been everywhere. I even used Sonar even for a while. For me FL Studio has the best workflow. I think that when it comes to DAWs, it’s all about finding whatever caters to your workflow. There’s no saying there’s one better than the other. Nate: What are some of your favorite plug-ins, VST’s within FL Studio or separately? Seven Lions: I use a lot of Voxengo stuff, I really like Voxengo. their Deft Compressor is awesome, their LF Max punch is awesome. For delays I actually use the native FL Studio plug-in. My VST’s are [Native Instruments] Massive, [LennarDigital] Sylenth… and that’s pretty much it right there, that’s my bread and butter. Nate: So with a heavy touring schedule do you find that you are producing on the road at all? Or do you find that you go on the road, play some gigs, kind of be a hermit and get some tracks done at home? What’s your process for creating music? Seven Lions: So currently I go play, come home, and try to be a hermit, but the shows have become so overwhelming that I’m finding that I need to find a way to work on the road. February was ridiculous; I was home maybe 5 days. The nice thing is that after Ultra I get to go home and work on music for like a month, I’m so stoked to get back into the studio. I’d much rather be working in the studio than traveling, I mean that’s my thing. I can’t wait to get home and work on some music. Nate: Any advice you would like to share for other DJs and producers? Seven Lions: I’d say have the right expectations with your music. A lot of people wonder why they aren’t taking off right away when they start producing music. If you keep the right expectations you’ll stay sane. If you’re a hobbyist and you love making music then just do it. I’ve always made music as a hobby, and if this weren’t going on right now then I would still be making music. And if you come into it with that perspective, like “I just really like making music,” then you’re going to have a nice, long career. And it might not be a career where you’re making money, but it’s going to be a nice experience. 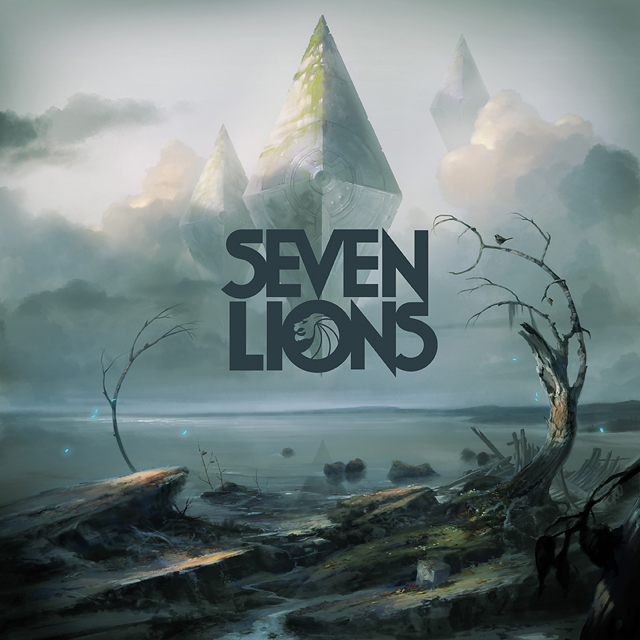 Seven Lions: Yeah enjoy it! It’s the worst when you see people finish a song and post it up on Soundcloud right away and spam it to everybody. Just take your time and focus more on the music and less on trying to market yourself and just do it as a hobby because you love to do it, and you’ll find yourself in the right place. I mean there’s no way you can go wrong with that.